A recent article published by Smart Company suggests that only 2% of small businesses are prioritising the protection of their online data. Cybercrime is a growing problem for Australian businesses, with small businesses increasingly becoming the target of scams and hacks. 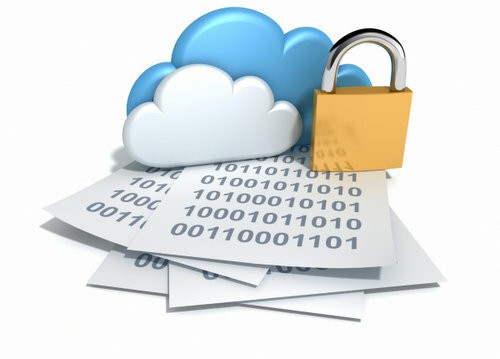 If you are a small to medium business and you are wondering what the cloud could offer you then let’s talk “security”. Among other great benefits (which you can read about in our cloud article series here) the cloud can offer far better security than you can provide on your own. 1. Cloud security is stronger. The current cloud ecosystem is built on a global network of world-class data centers operated by massive company providers. Security is the backbone of their state-of-the-art infrastructures. From security guards and video surveillance, to access controls and perimeter fencing, big data centers have exceedingly strong physical security. 2. Cloud security is smarter. Almost every type of hacking threat – from viruses to phishing scams and beyond – is on the rise. Small businesses can use anti-virus software and firewalls and they will provide basic protection, but data centers that host cloud-based software utilise cutting-edge encryption and security tools. These include advanced intrusion and zero-day threat detection, which means security teams can fend off hackers before they attack. Yes, they really are that good. 3. The cloud makes security more cost effective. If you decide to take a do-it-yourself approach to security, you not only have to buy the right equipment and software to secure your on-premise deployments, you also have to worry about maintaining it and keeping it up to date as threats evolve, or hire staff to do this for you. None of this is cheap. When you use cloud-based software, on the other hand, all you need to purchase is a subscription to your software of choice. Security is covered by the cost of your subscription. 4. The cloud lets you focus on your business, not security. It’s simple – when the cloud is providing you with your security you can focus on your business without having to worry about technology that may fall far outside of your area of expertise. If you’d like to see how our cloud-based staff management software can help you save time and money, and streamline your staff admin tasks visit the easyEMPLOYER. Mining company hits $2 million hole in payroll.